We are pleased to welcome State Grid Brazil Holding (including 18 subsidiaries) and its 51%-owned joint-venture Telespires Transmission (including 2 subsidiaries) who have chosen Siveco to implement Coswin 8i in Brazil. 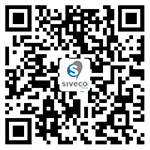 Siveco has been active in Brazil since 2007 with a strong track record in the electricity and oil & gas sectors. In 2010, Brazil was chosen by the State Grid to hold the first major investment of the conglomerate in non-Asian countries. State Grid Brazil Holding acquired seven national power transmission companies at a cost of US $ 989 million. The State Grid Brazil Holding (SGBH), which owns 12 national energy concessionaires and holds a 51% stake in four consortium group concessions, is among the largest energy companies in Brazil. Large Brazilian cities benefit from SGBH's reliable, economical, clean and sustainable supply model, which by 2040 will be operating about 14,000 km of transmission lines, covering Brasília, Rio de Janeiro, São Paulo and other large areas close to load centers.